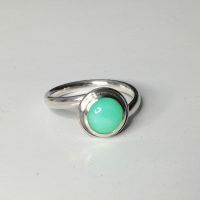 Chunky shank set with a lovely chrysoprase cabochon. 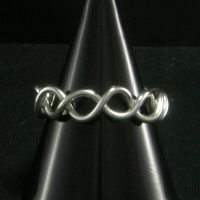 Wave pattern formed from two strands of silver. 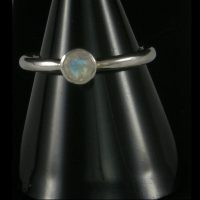 Rounded shank set with a facetted blue moonstone. 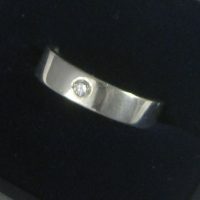 Band ring set with a cubic zirconium.